For the month of October I am collaborating with Tulip for a fun styling project and challenge! 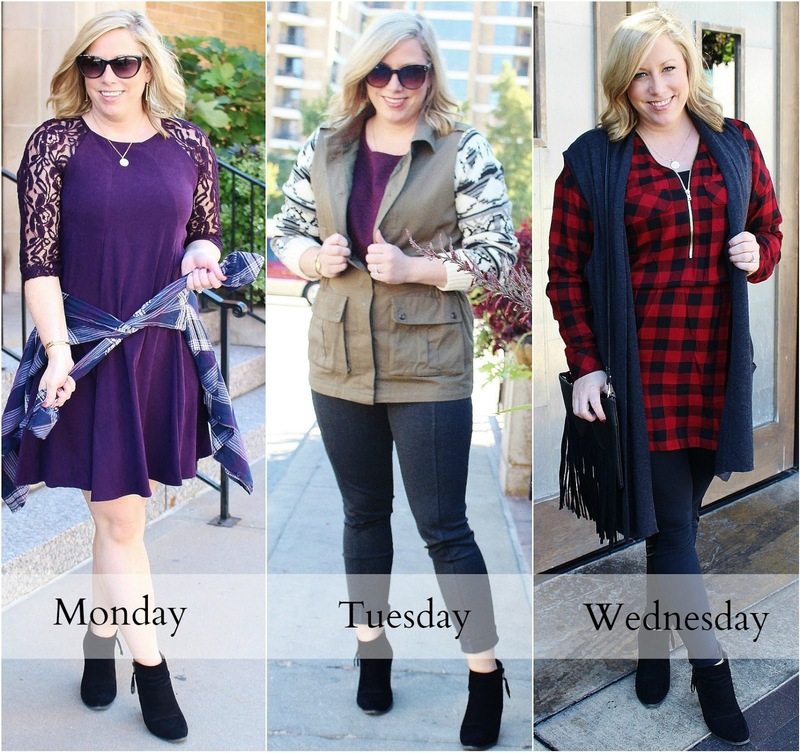 Each week I am putting together a collection of looks using trends, staples, and fall must haves to create six outfits for the week. The seventh look of the week is up to you to style for a chance to win one of the pieces form this weeks collection! Each collection will be posted on Tulip KC's Facebook page on Sunday morning, all you have to do is comment with a seventh look you would style using this week's pieces! Make sure to watch for next weeks looks and a chance to Win on Tulip's facebook page. 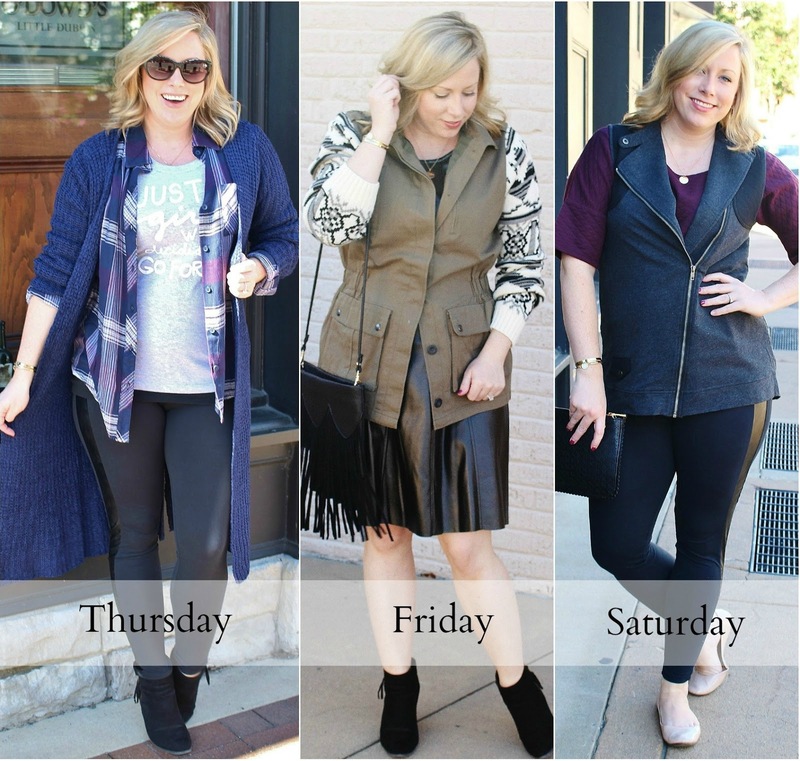 If you are interested in adding any of these pieces to your fall wardrobe they are all current and in the store now, a bonus is that each piece is under $100! Whoohoo!